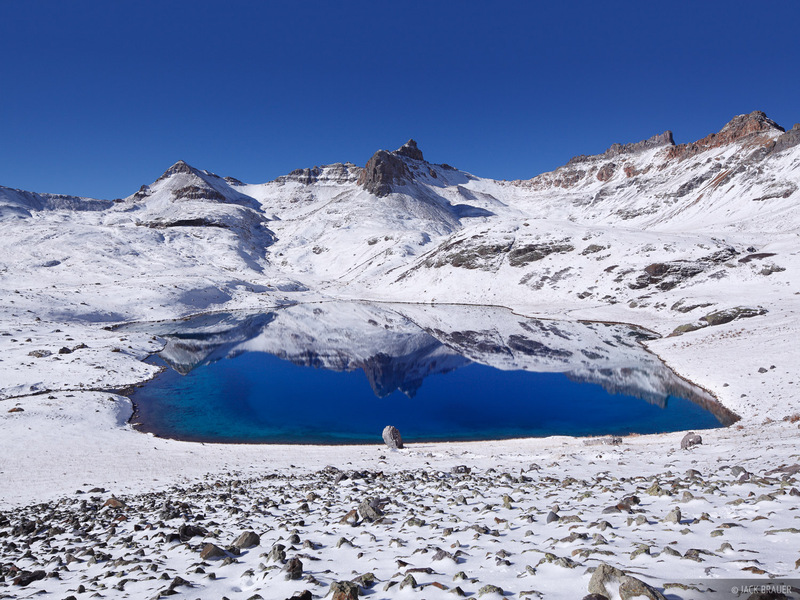 The light snowfalls amounts in the San Juan Mountains this November provided a good opportunity for me to do a quick overnight backpacking trip to Ice Lakes Basin, near Silverton, Colorado. 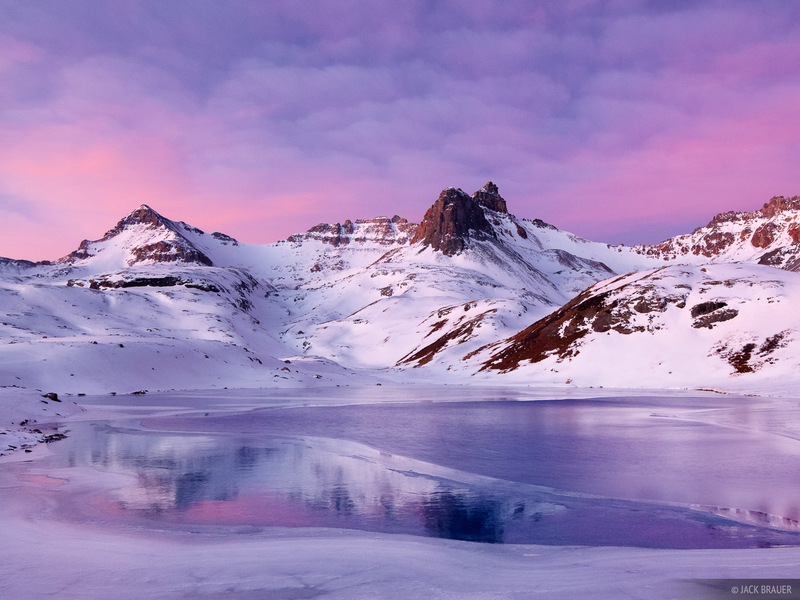 This spectacular basin is a popular location for summertime hiking, but not many people visit in the snow. This previous week there has been a high pressure system over Colorado, with warm temps and clear skies, so I figured it would be a good time to head up into the high country for a quick overnight trip. The trail up to Ice Lakes Basin generally faces south, and I enjoyed a dry trail most of the way to the lower basin, and even after that the snow was only shin deep at most. With no snowshoes or snow-boots required it was like winter camping but easier! I found a nice little flat spot near the lake and set up my tent. I knew the post-full moon would be rising an hour and half after sunset, so I hiked around looking for a good vantage point of the basin, set up my camera, and waited in the dark. While I was waiting I was having fun experimenting with my new camera setup – a Canon 5D2 with tilt/shift lenses. This camera has better high ISO performance than any other camera I’ve previously used, so it was fun to be able to take photo of the stars and the Milky Way. 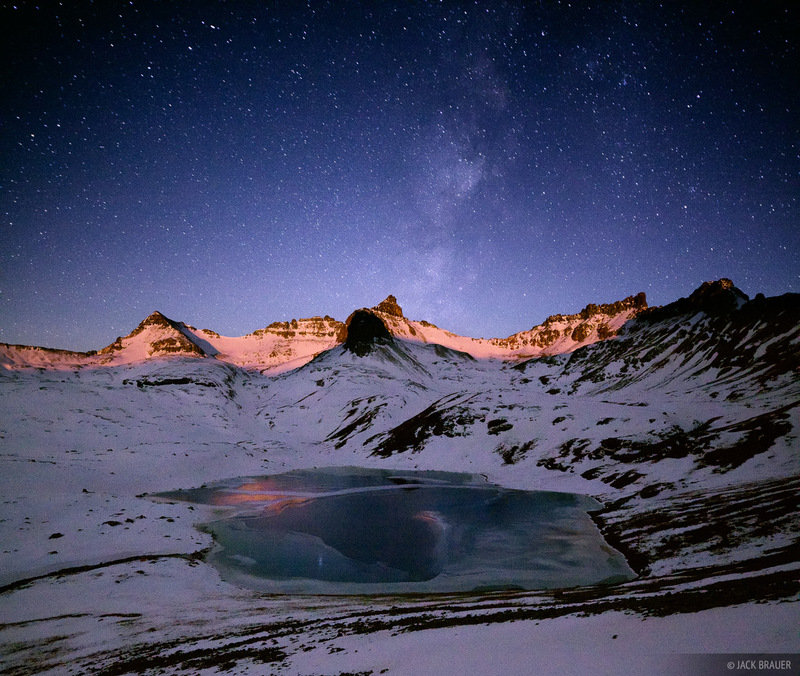 The moon rose on time, providing some nice lunar alpenglow on the peaks with the stars above. 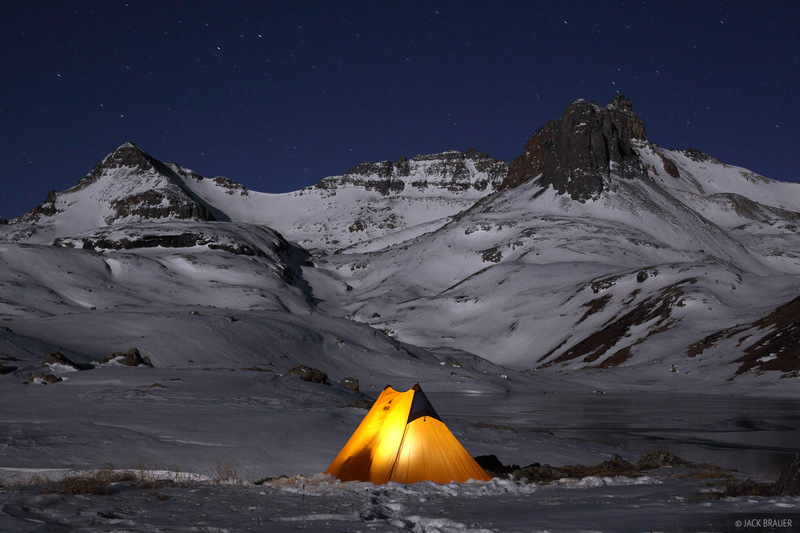 Winter camping at Ice Lakes. In the morning I was stoked to see clouds in the sky after a week of bluebird days. Golden Horn (13,769 ft.) reflection in Ice Lake on a gorgeous calm bluebird October morning after a two-day storm - the second snowfall of the season. Posted in Backpacking & Trekking, Colorado and tagged Colorado, San Juan Mountains, Winter Camping.